Life Every Day: The Money Beets. Jim grows a great garden with the kids every year, and though I do none of the work, I get all the benefits. There is the tangible benefit of a boat load of fresh produce and flowers, but let's not forget the intangible benefits of many, many nights spent in peace and quiet in the kitchen while he and the kids pull weeds etc. I cannot lose. Things are coming along a little later this year, but just this week we've seen lots of growth. Now I've got a morning and evening ritual of poking around out there, finding what's ready and bringing it in. 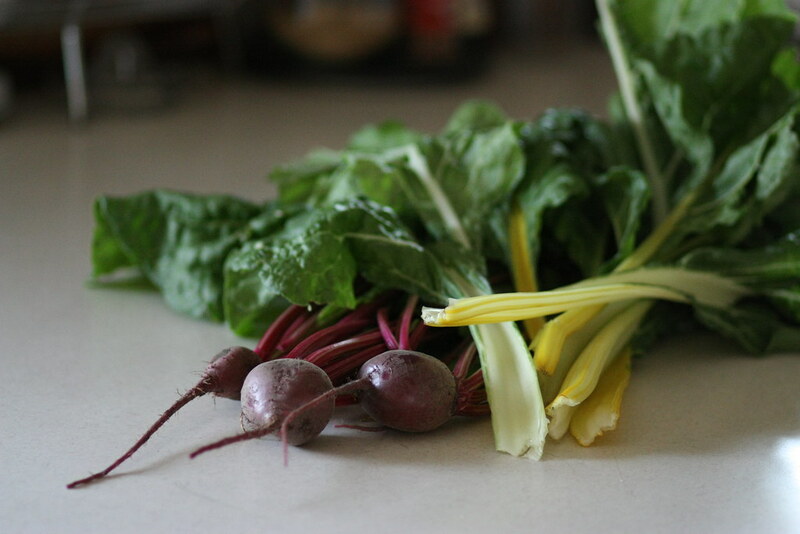 Right now we're enjoying basil, cilantro, and spring onions for the kitchen, and also a ton of rainbow chard and beets for juice. I have been waiting and waiting and waiting on those beets. I'm excited for those things to keep giving all season long, and jazzed about the tasty things to come.